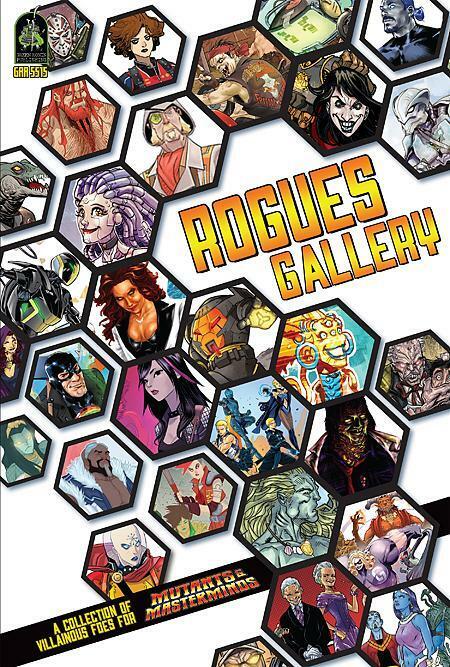 Rogues Gallery collects supervillains from Green Ronin’s popular PDF series of the same name, with the addition of new material and never-before-seen characters. It has dozens of fearsome foes for your Mutants & Masterminds series, enough to keep your heroes busy stopping schemes and saving the world for quite some time! In its pages you will find solo and loner villains, teams and alliances, organizations and outliers, and bad guys of many different power levels, backgrounds, and styles, suited for different M&M series, all with complete game information. Plus each villain comes with ready-made adventure hooks, making the book a collection of more than a hundred possible adventures as well!